With Christmas and the holidays fast-approaching, FanFit Gaming is equipped with a bunch of high-quality gaming merchandise suited for fans of all generations. Based in Toronto, FanFit Gaming both designs and manufactures their own products with the goal of quality in mind. Whether you or someone is an esports competitor, Twitch streamer, or a casual player, the company’s merchandise lets you take the things you love on-screen and onto either your desk at home or in the office. Some of FanFit Gaming’s products include mugs, flasks, handmade ornaments, enamel pins, and mouse pads. Sega coffee mug. Image provided by FanFit Gaming. Take their Sega ceramic coffee mug, for example. Part of their Console Wars series, the 16oz mug is has an awesome design featuring old-school Sega references. 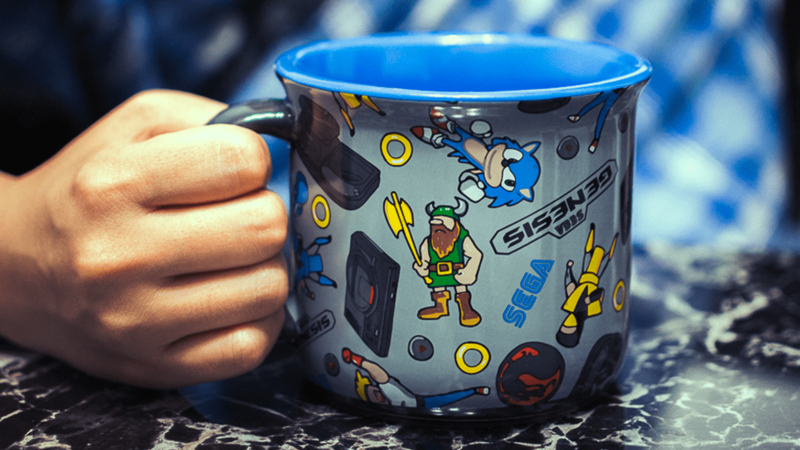 For fans of the Sega Genesis and Sonic the Hedgehog, this mug gives a good nostalgic kick. 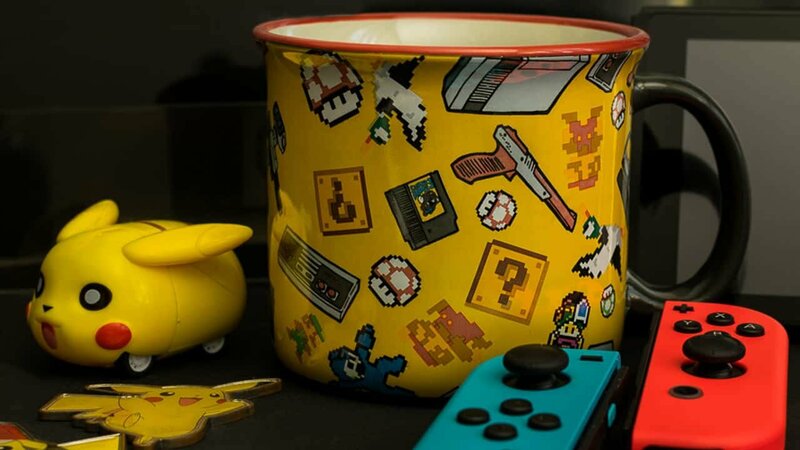 Like FanFit Gaming’s other themed mugs — Nintendo 64, PlayStation, and Xbox — this one is also microwave and dishwasher safe. Gamer flask. Image provided by FanFit Gaming. 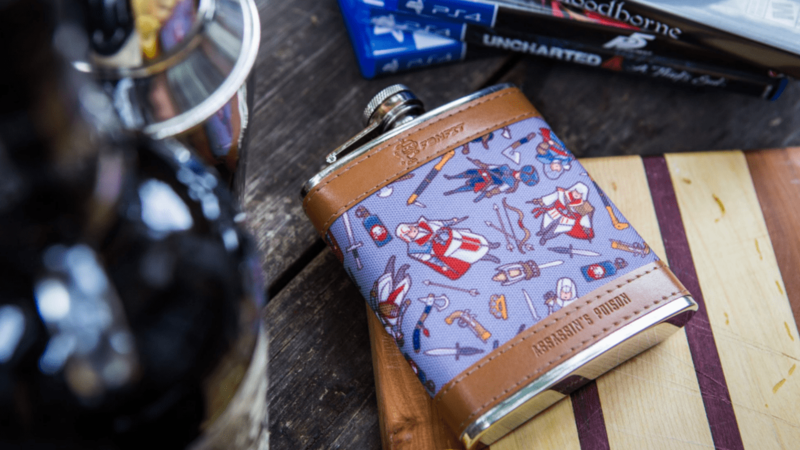 Next up, their flasks also make a good holiday gift for gamers, especially because of the intricate designs that went into them and the memories of good old RPG games they inflict. These flasks come in a variety of colours like pink, blue, and lavender. They are all covered with a thick canvas print and leather trim, which gives quality points to their feel and appearance. These 7oz flasks were made using food safe aluminum. Professional gaming mouse pad. Image provided by FanFit Gaming. 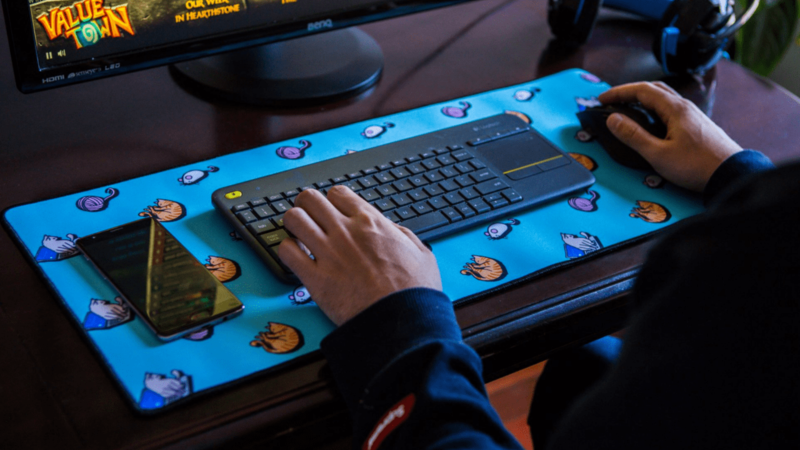 A player’s desk would not be complete with a gaming mousepad, and FanFit gaming has a good selection of large ones to choose from. There’s a mouse pad paying tribute to those cats who love resting near a keyboard, as well as one for dog lovers. Other mouse pad themes include Play to Win, It’s Not Just A Game, and Weapons of Mass Destruction. These mouse pads are 27.5 inches by x 11.8 inches, have a natural rubber anti-slip backing, high-density weave tops, and their edges have an anti-fray stitch to ensure longevity and durability. Handmade ornaments. Image provided by FanFit Gaming. As for handmade ornaments and decorations, there is a wide variety to choose from as well. They are made out of felt, include an ornament string, and make a great addition to any Christmas tree. 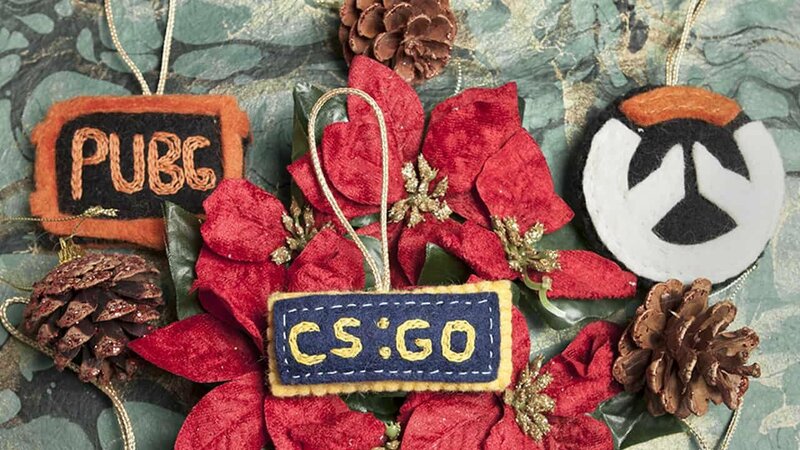 Currently, the ornaments feature games like CS:GO, PUBG, Overwatch, as well as popular platforms and consoles like YouTube, Twitch, Steam, PC Gamer, Xbox, PlayStation, and the Nintendo Switch. These can be either be bought individually or as a bundle of ten. 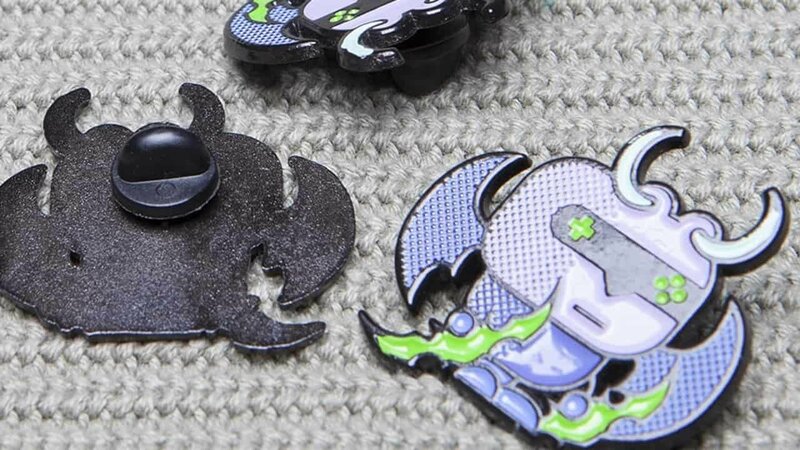 Illidan Stormrage enamel pins. Image provided by FanFit Gaming. The enamel pins are like the hidden gems of FanFit gaming, as they are so many options and references to both new and old games. Fans of Overwatch, for example, can get pins featuring D.Va, Lucio, and even Soldier: 76. Meanwhile, Warcraft III and Warcraft Legion fans who remember the days of Illidan Stormrage can get the pin by itself or along with eight other gaming characters in a pack. These pins are about 1.5 x 1.5 inches, with the exception of a couple like the Classic Gameboy one at 1.5 x 1 inch and the Classic Nintendo NES controller pin. Whether it’s a mug, flask, ornament, pin, or a mouse pad, Fanfit Gaming pays homage to the games we all know and love with awesome product designs and a very close attention to quality. Made by gamers and for gamers, their products are highly recommended as gifts for this holiday season.